If you use Bass Island Line (BIL) then no doubt you know Sheryl Rhodes. Sheryl is the Administration Assistant at the Port of Grassy and is a familiar face to many as “the lady behind the window”. 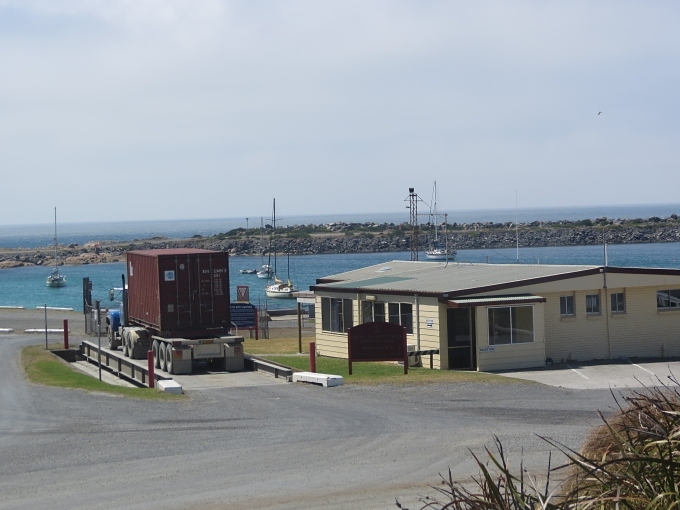 Sheryl moved to King Island from Queensland sixteen years ago and has never looked back. She jokes that she is almost a qualified local: apparently twenty years is the generally accepted milestone! Sheryl reconciles shipping manifests, prepares financials, reconciles rebates and cash sales and is the main point of contact for BIL’s customers, suppliers and other users of the port. She jokes that her most important role is “cracking the whip and keeping everyone in line”. 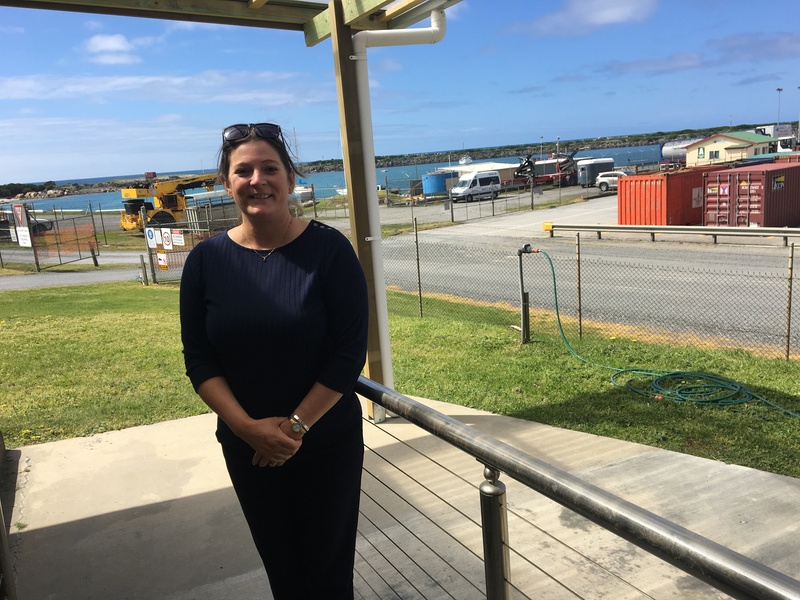 But her favourite role is interacting with other King Islanders from the office window and helping them as they go about their day. For Sheryl nothing is a problem and she is happy to roll up her sleeves and help out anywhere she is needed. BIL asked Sheryl what life on the island means to her. Her immediate response was simple: “Freedom”. The freedom to live a relaxed lifestyle, to know her kids are safe walking to the shops and leave her keys in the car. And the freedom that comes with living in a close community. So what are some things you might not know about Sheryl? Well, she is happy to pick up the tools and has many projects on the go including a shoe rack she is currently building for all the muddy boots around the house. Favourite things to do? “That’s easy” she tells me. Taking the kids to the beaches, projects around the home, rebuilding her overgrown garden, pretty much anything DIY and trips to Melbourne to watch the State of Origin are always a bonus. 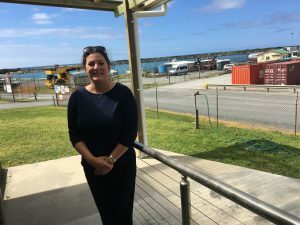 In talking to Sheryl one thing is abundantly clear: she loves King Island: the lifestyle, the Grassy Hawks and even the ever changing weather, although that took a while for this Queenslander to acclimatise to. So next time you are passing by the port at Grassy, make sure you say “Hi” to Sheryl and ask her how the latest project is coming along.